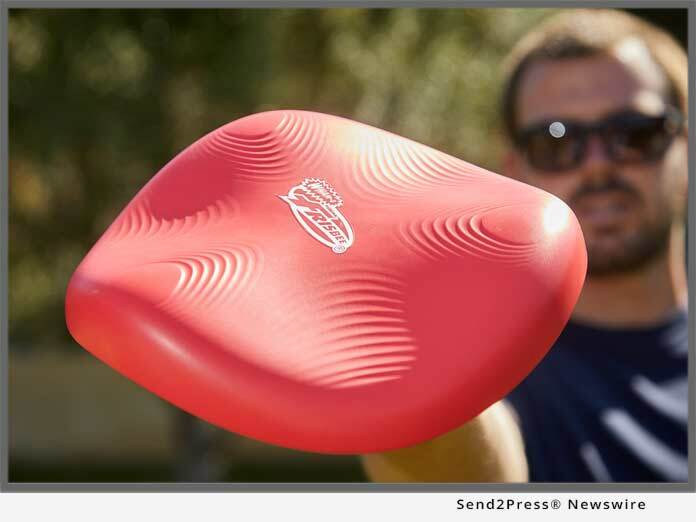 CARSON, Calif., Nov 20, 2018 (SEND2PRESS NEWSWIRE) -- Frisbee(R) Sonic, the new "square" Frisbee by Wham-O, has been added to the Fatherly list of 100 Best New Toys of 2018. The designations, compiled by a team of editors, dads and kids, honor the manufacturers who harness technological advancements, imagination and product design to churn out play products that inform, inspire, develop and entertain. Wham-O reinvented the way Frisbee(R) and all discs will fly in the future with the introduction of the Frisbee(R) Sonic, available in red or neon green for $16.99 on Amazon.com.